So, what about mine? Victor connotes triumph and success. Hunt means to diligently pursue. Throughout my life, I have always pursued success for myself and especially for those around me. At times, my situation has been tough, as my family battled homelessness, drug addiction, and domestic violence. However, I have never let these struggles stop me from pursuing my dreams, and I have always aimed to use my unusual identity — a black, Native-American, and Jewish low-income male — as a source of motivation rather than self-doubt. Since 2016, I have set out to solve property management’s greatest issues in maintenance and repairs. Along this journey, I have formed a family of co-founders, advisors, and users. We have learned so much, and together our vision will carry us far. But before founding Astorian, my life started in Queens, New York with my mom and three younger siblings. Growing up, my mother struggled to ﬁnd work and to provide a home for my siblings and me. The harsh reality of homeless shelters and of constant change pushed me to step up and provide for my family in every way that I could. At the tender age of eight, my quick actions saved my mother after her head was bashed in with a hammer by an enraged lover. As she stumbled in the dark whimpering for help, I held her steady, and called the ambulance and neighbors for assistance. These simple things saved her life. 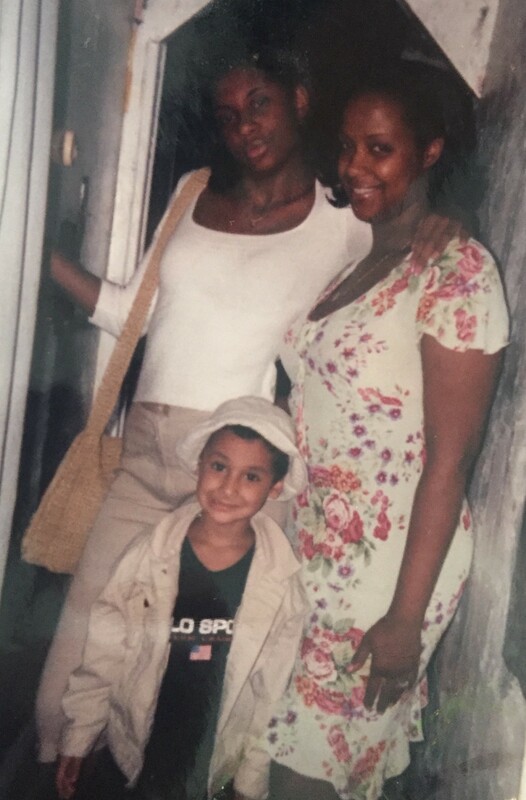 Victor with his mother and aunt, age 6. I didn’t realize at the time how that lesson would reign throughout my life — the lesson that “simple” acts matter. The notion that doing anything good, no matter how small, is always better than doing nothing. I wouldn’t say these challenges created my drive, but rather than hold me back, they amplified my perseverance. While my mother battled to recover from her injuries, my siblings and I became dispersed amongst various relatives. After more than two years, my mother had mostly recovered from the assault, but bringing our family back together proved challenging as my mom overcame traumatic brain injury only to succumb to drug addiction. And so, as I approached my 13th birthday it was quickly becoming clear that I would have to be the glue needed to hold our family together. 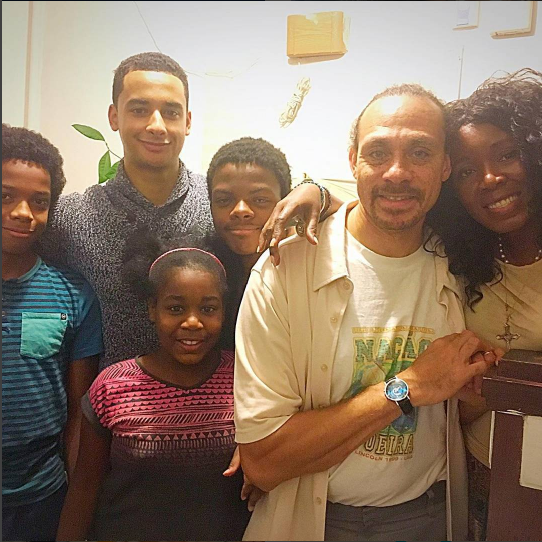 Victor, his younger siblings, and his aunt and uncle who adopted them. 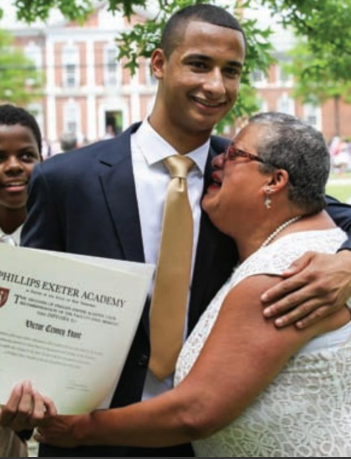 At the same time, with the help of the academic program Prep for Prep, I had recently earned a chance to attend Phillips Exeter Academy in New Hampshire, granting me an incredible educational opportunity but leaving me hundreds of miles from home. I simultaneously lived two realities — discussing philosophy around Harkness tables in one and searching for a new home for my siblings as our mother’s addiction worsened in another. As my time at Exeter drew nearer to its end, my life was evolving into something completely new. I was accepted into Yale, which was a dream come true. In applying, I was so focused on the process that I hadn’t visited or even looked up pictures of the school until I got in. When I finally saw the campus, I felt the significance of what this meant. Neither of my parents completed college and most people from my neighborhood didn’t finish high school. When Yale accepted me as a student that December, it accepted everyone who got me there — my family, my community, and me. Victor and his grandmother, celebrating his graduation from Phillips Exeter. It was also around this time that I conceived of Astorian. Since middle school, I had apprenticed under a mentor who worked in real estate, which gave me the opportunity to work in a number of buildings in New York. From my own experiences with homelessness, I knew what it meant to be without home and without heat, and so one moment stuck out to me during my time at these buildings. It was in the dead of winter when a steam pipe exploded, leaving dozens of tenants without heat and the building manager scrambling for contractor bids. But it took weeks for only a few bids to come in, and when they did, they were disorganized, inconsistent, and astoundingly expensive. By the time the work got done, tenants had been left without heating for weeks, and the building had paid an exorbitant price. This was the chaotic norm in building management, and it was then that I knew that something had to change. 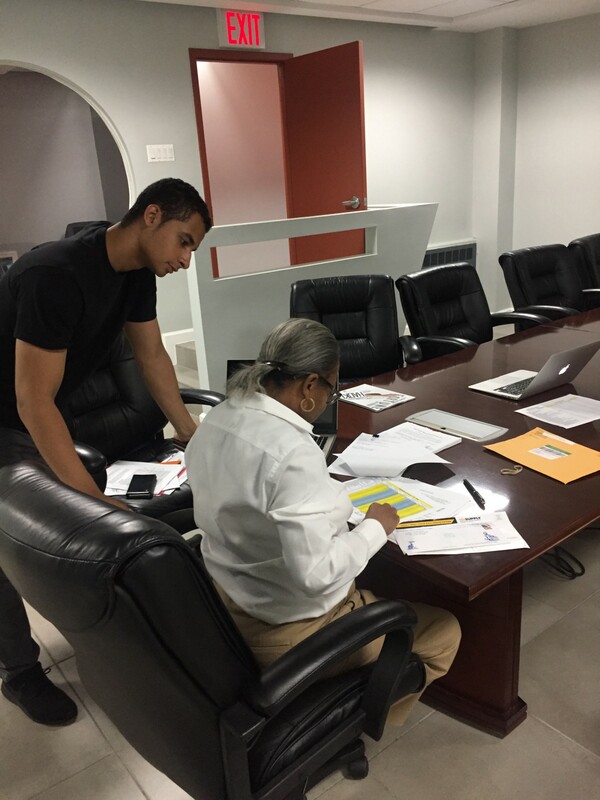 Victor with his mentor, real estate executive Arline Parks. Heading home, I couldn’t help but notice the countless parking spaces and traffic jams filled with contractor vans in every category from asbestos to restorations. The market was clear, but where was the marketplace, I wondered. When I got home, I sat down on my bed and contemplated what a marketplace would look like for this industry. It was simple — a place where buildings could describe what they needed and contractors could see it and respond. At that point, my mission became clear, and I began to seek out opportunities that could teach me what I needed to achieve my dream. I took on internships at Deutsche Bank, Bloomberg, Google, and Dune Real Estate Partners, absorbing as much as I could about business, technology, and real estate. And all the while, I continued to draw inspiration from some of my childhood idols such as Michael Bloomberg, whose entrepreneurial achievements had propelled him from a modest background to the mayor of my home city. I knew that I wanted to build for real estate what Bloomberg had built for finance. As I progressed through Yale, I knew that I needed to not only continue developing myself but to build a team. I recruited co-founders whose skills complemented mine and whose tireless motivations have propelled us forward. We succeed because of each other, and in building our company what we cherish the most is the people. We are solving real issues for real people. Whether managing buildings or working as contractors, our clients work tirelessly to keep our cities functioning, and we are there to support them every step of the way. 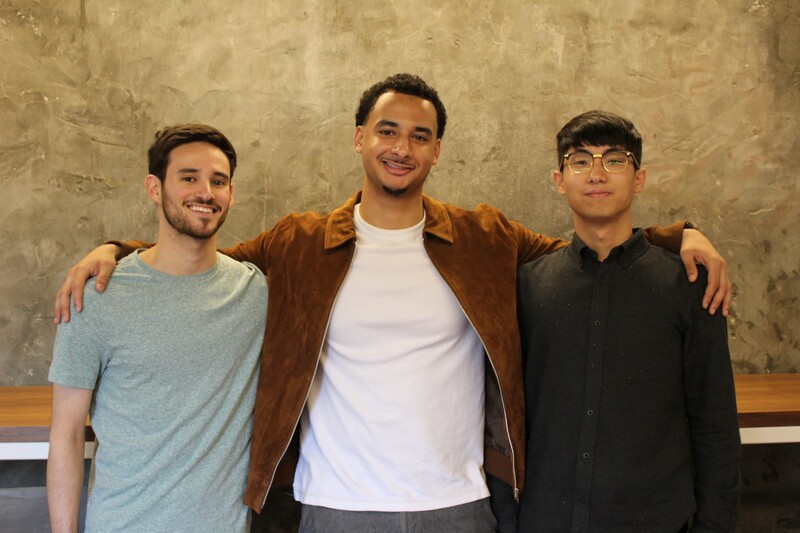 Victor with his co-founders, Aaron Resnick (left) and Min Sung (Matthew) Kim (right). Now working with thousands of buildings and contractors across New York City, Astorian is taking buildings from broken to pristine more quickly and at a lower cost than ever before. Astorian has also partnered with world-class investors such as First Round Capital and Bessemer Venture Partners, as we continue on our mission to transform the built world for the benefit of all of us who live and work in buildings every day. In closing, what keeps me grounded is articulated well in the poem “If–” by Rudyard Kipling. Kipling lays out a prerequisite for success: “If you can meet with Triumph and Disaster,” he writes, “and treat those two impostors just the same… Yours is the Earth and everything that’s in it.” As my name and my story suggests, no matter how hard the circumstances or how rewarding the achievements, through the highest highs and lowest lows, I will never see my work as finished, and the quantity of people that I can help will be the only number that truly matters. Victor Hunt is the co-founder and CEO of Astorian.